1. 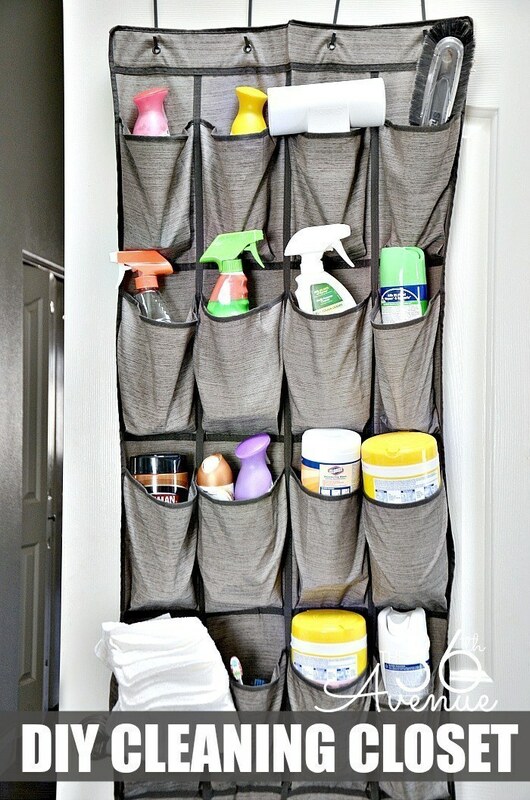 Make the most of every inch of space by using over-the-door organizers for everything from shoes to cleaning supplies. Get a wire rack like the one on the left for $36.99 here, or a shoe organizer like the one on the right for $11.39 here. 2. Put the inside of your cabinet doors to work, too, storing pot lids or hiding your trash can. 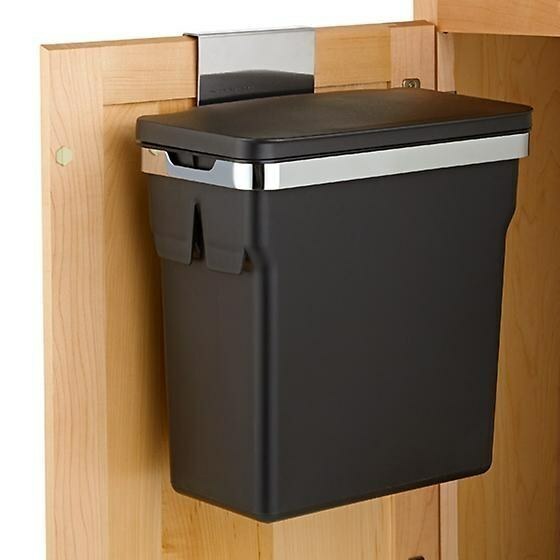 The pot lid organizer is $13.99 here, and the trash can is $29.99 here. 3. Hang multiple shower caddies on removable adhesive hooks. Great if you have multiple people using one shower. From here. 4. S-hooks also work as an extra towel rack when you don't have one. 5. Install a set of corner shelves to transform a small nook into extra storage space. 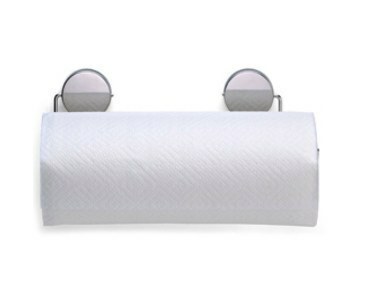 See how they built these here or buy similar ones for $14.99 here. 6. 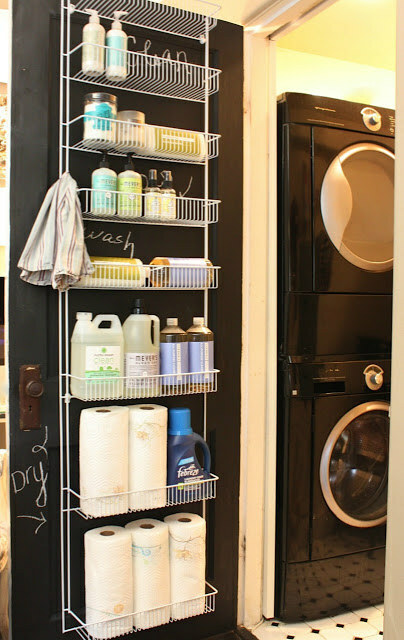 Or put the wasted space above your doors to use and install shelves there. 7. Mount a pegboard on a blank wall to exponentially expand your kitchen storage. Your local hardware store can help you find the right pegboard and accessories. From here. 8. 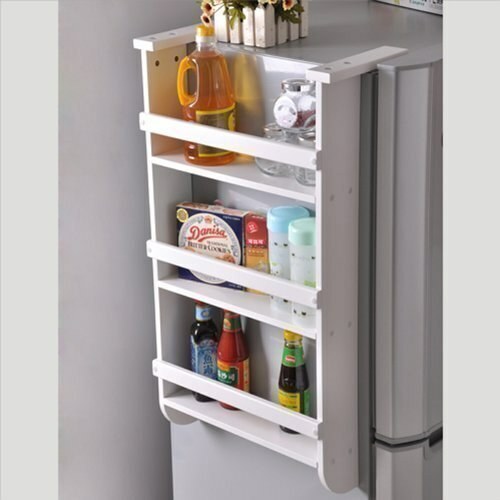 Slip a rolling storage pantry in the extra space next to your fridge. Learn how to build one yourself here, or buy a smaller version for $26.19 here. 9. Or if your fridge isn't up against the wall, turn the free side into storage. This organizer rack is $27.99 here, and the paper towel holder on the right — which is magnetic — is $17.99 here. 10. Save counter space with a roll-up drying rack that sits over your sink. Get it for $24.99 here. 11. Squeeze more counter space and storage into your kitchen with a chef's cart. Depending on your kitchen, it might work best as an island or along a wall. Carts with drawers like this one ($65.79) work well if you don't have much pantry space, or ones with shelves like this one ($59.99) are great for storing pots and pans. 12. Double up your space wherever you store cups. See more of this cabinet setup here. 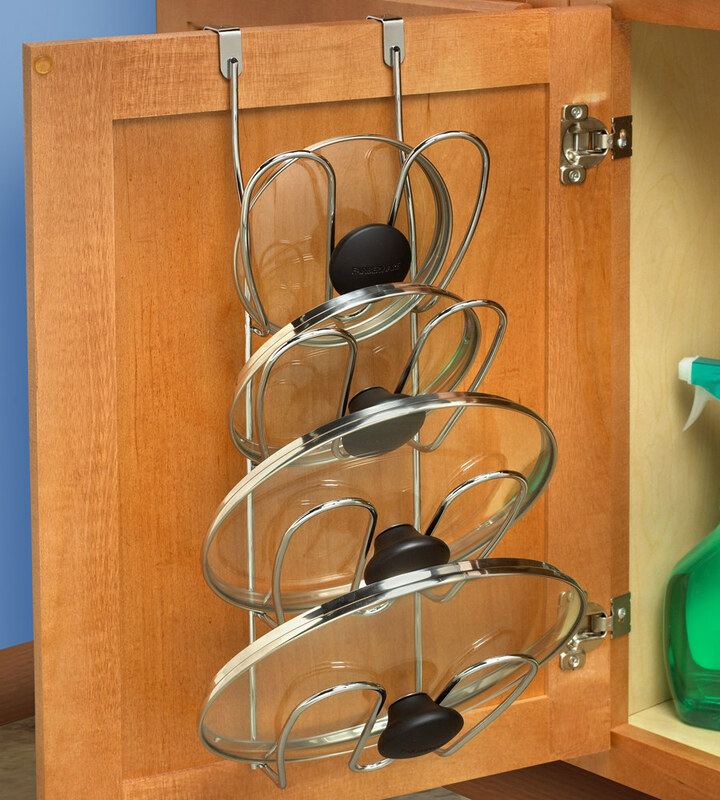 Get a similar shelf for $3.99 here, and hooks for $1.18 for a pack of four here. 13. Similarly, keep all of your small things in check with a set of jars that magnetically attach to a cabinet shelf. 14. 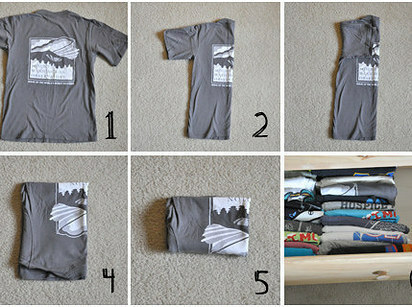 Fold your shirts and store them vertically in your drawers. You'll be able to fit more shirts in the space, and you'll always be able to find what you're looking for. Learn more about this folding technique here. 15. Add lightweight cabinets to create storage space out of literally nothing but wall. See more of this tiny bathroom here. 16. Or use a slim wooden ladder, s-hooks, and baskets to squeeze storage out of an awkward corner. This tutorial includes instructions for building the ladder, but you can find similar ladders in home decor stores, like this one, $26.99. 17. If you're handy, build your own slide-out scarf and belt organizer in your closet. 18. Save floorspace by hanging shoes on a peg coat rack. This tutorial shows you how to build your own, or you can buy a similar one for $14.99 here. 19. Triple your closet space by hanging multiple shirts on a length of chain. This works best for shirts, skirts, or slacks; you don't want your dresses to brush the ground. Get the tutorial here. 20. Disguise a toy chest (or your shoe storage) as a coffee table. This one is $79.99 here. 21. 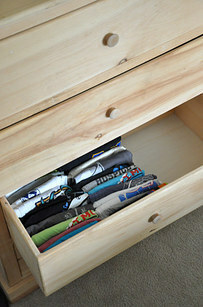 Stash seasonal clothes and extra linens in rolling bins that slide under your bed. The black one is $29.99 here, and the basket is $69 here. 22. Or if you're planning to buy a new bed, consider one that features easy storage underneath. It's definitely not an impulse buy! But could make all the difference in a small space. You can get this one for $499 here, or read more about good storage beds here.